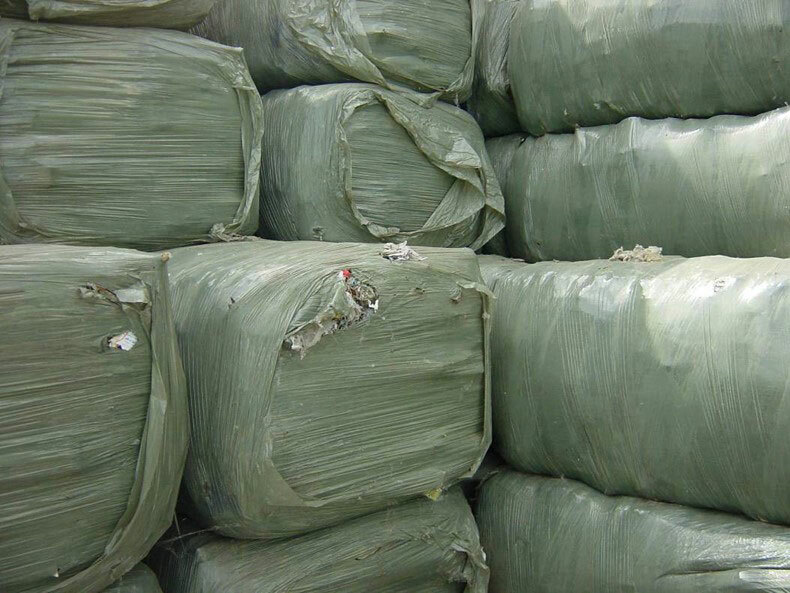 A number of bale packing systems for waste are offered on the market. 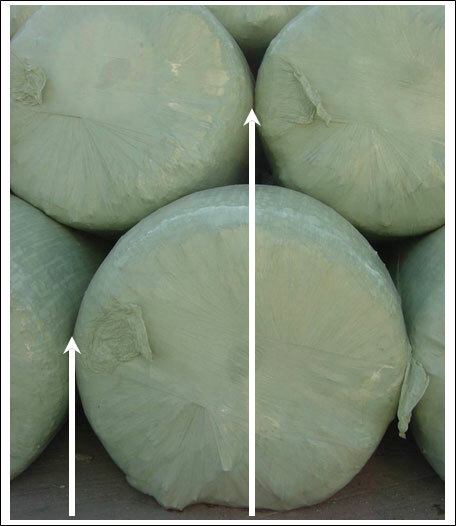 Principal difference is the geometry of the bales; and the common opinion is that square bales provide more dense storage. Let us make comparison and find out what is better. In practice, an often argument about round bales is that they need more place to be stored than square bales. That’s not the truth. So now let us explain why. 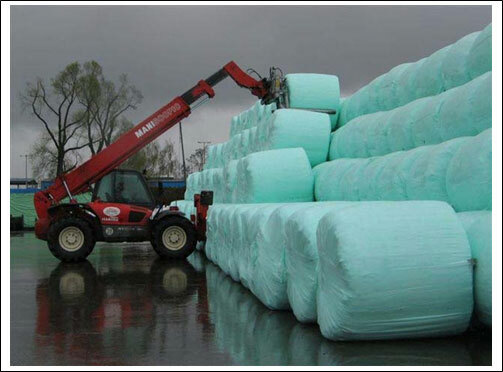 Because of the risk to damage the film during transportation by wheel loader, square bales have to be stored with a certain space between each other. Further, at the edges of a square bale the film is stretched extremely, so it is cracking as a result of overstressing. 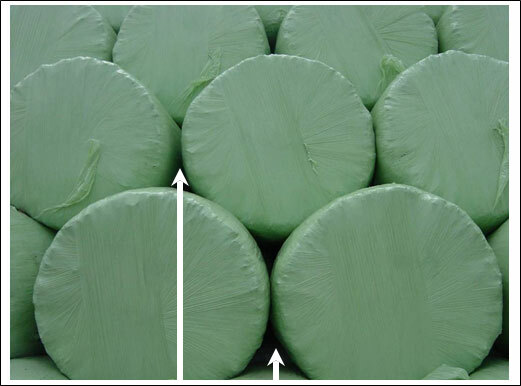 The edges of square bales are normally less compacted than the rest of the bale because during process of wrapping they get dented. That means, that also square bale storages bring out hollow spaces which are comparable with the volume of a round bale storage. 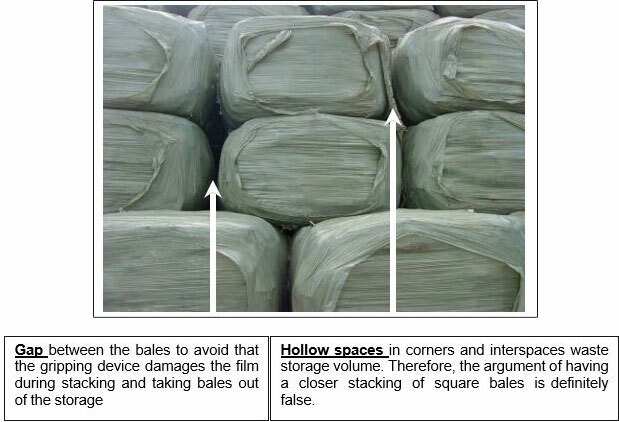 But BPS-2 round bales have a twice as much volume, so in comparison to square bale storages there are less bales and therefore less hollow spaces. In the end, with same floor area around bale storage picks up more wrapped waste than a square bale storage. The shape of round bales leads to a trigonal shaped hollow space between each other. In comparison to stored square bales, these hollow spaces mean an advantage for stacking and taking bales from the storage by use of a gripping device. They give enough space to absorb the round bales without damaging the film. 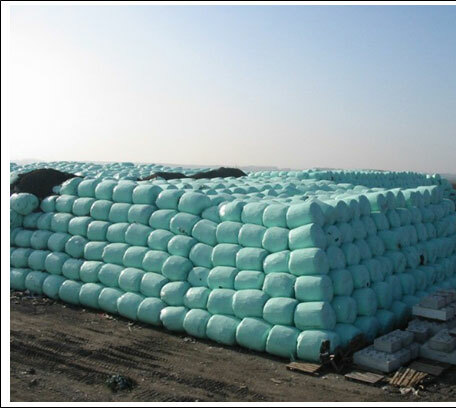 Further, the round bale shape brings the positive effect that the bales are stored side by side without gaps in between. That provides a stable erection of the bale storage. Because of the distances between the bales there is no stability given for the erected bale storage. In case that the bale gripping device is not removed exactly after put down the bale, the film is damaged inevitably. 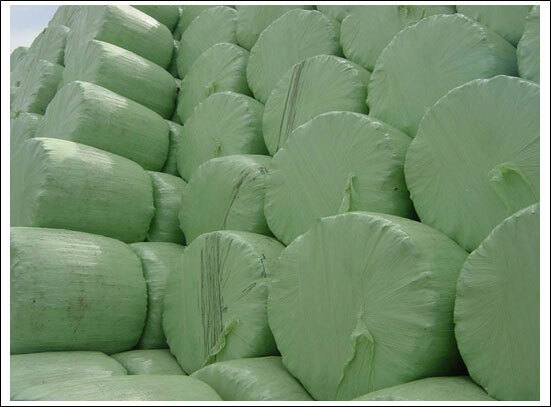 The overhanging film at 2 sides of a square bale carries the risk of rain water entering the bales. The bales are fixed with steel wire or plastic ribbons. Special equipment is required to remove wire and ribbons to prepare the bales for further treatment to a later point of time. Normally, ribbons are disturbing for a further treatment. Even the use of special equipment does not guarantee that there is no remaining wire or ribbon entering the utilization resp. incineration plant. Example: 1% of the wire used for a quantity of 28.000 tons comes to the incinerator means that 9.200 m wire impacts on the incinerating grate. Square bales do not have the half weight of BPS-2 produced round That means twice as much ways to go, more transport vehicles and more staff. The hollow spaces are enough for a gripping device to put down and take out the round bales without damaging the film.